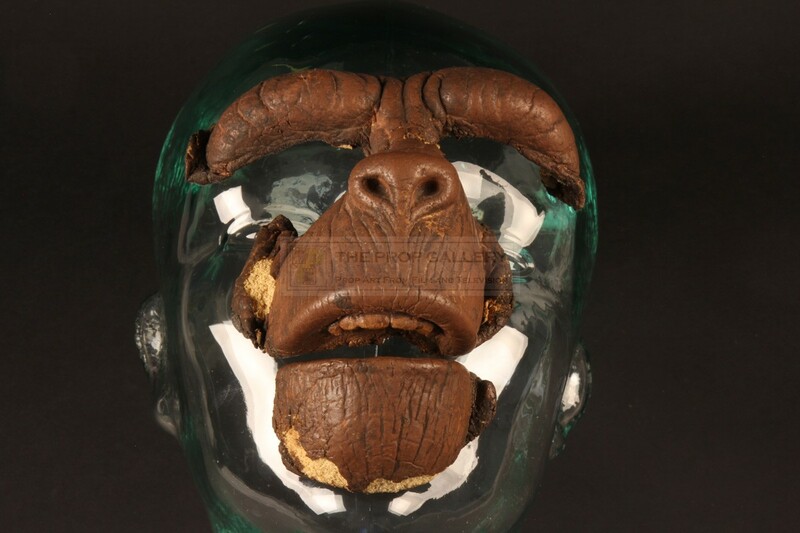 An original appliance used in the production of Planet of the Apes, the 1974 science fiction television series based on the classic 1968 feature film of the same name and its sequels. 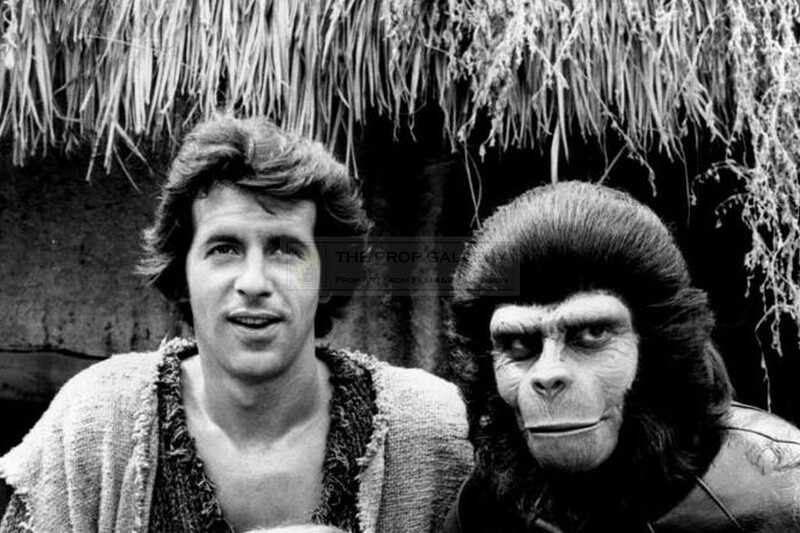 This appliance was created by a team using the same techniques developed by pioneering make-up effects artist John Chambers who was responsible for transforming the actors in to their various characters on the original Planet of the Apes movie. 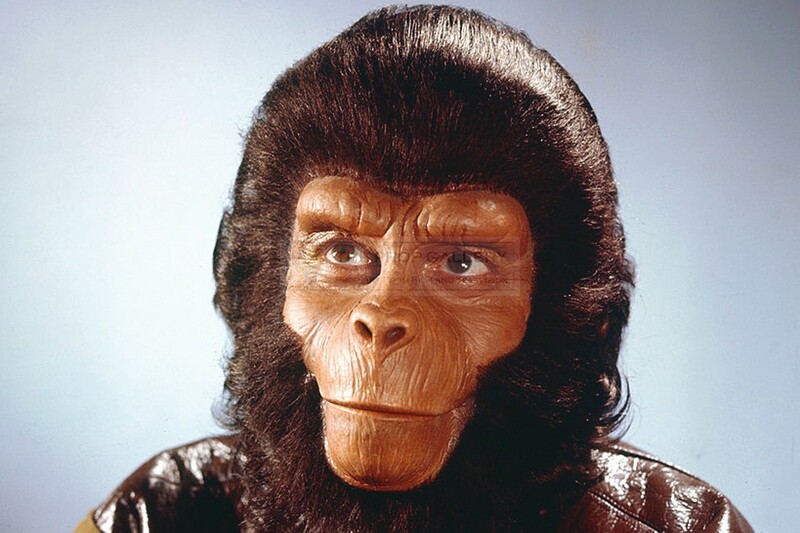 To create the now iconic look of the apes a lifecast would be taken from the actor over which the appliance could be sculpted in clay, from this a mould was made to produce the foam prosthetic used during filming with the actors having to endure hours in make-up every day before shooting could commence. 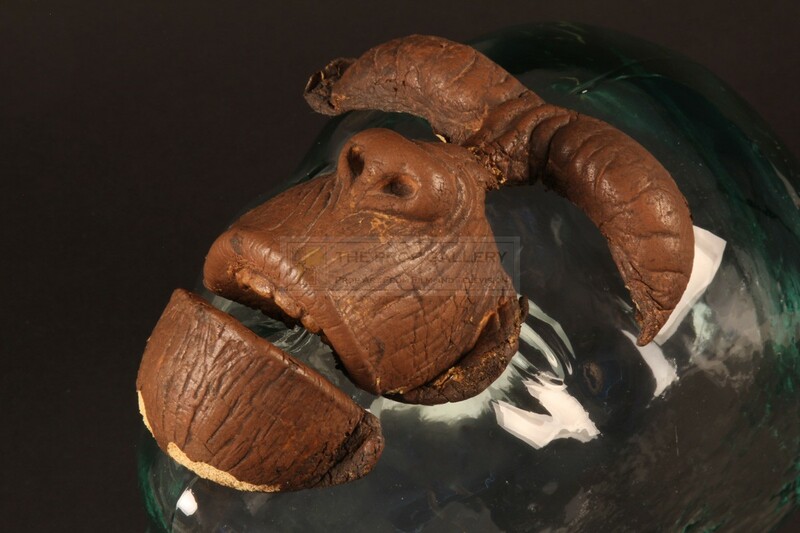 This appliance was worn on screen by Roddy McDowall as Galen, constructed from foam the two piece prosthetic is designed to fit over the nose and around the eyes with a separate piece for the chin both featuring teeth of a harder alginate like material. The rear of the appliances feature heavy traces of prosthetic adhesive used to attach them to the face which to this day remains tacky to the touch. 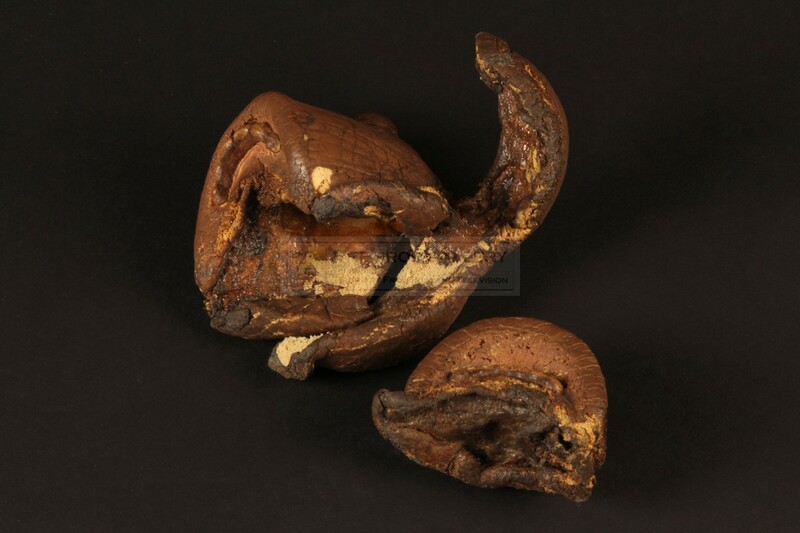 The appliance measures approximately 5" x 4" with the chin section a further 3" x 2", they remain in good screen used condition having been carefully retained by a make-up effects artist following their removal from the actor after filming, exhibiting some ageing and curling to the extremities with wear to the bridge of the nose and paint loss to the chin section, the foam supple and soft to the touch with no signs of deterioration or hardening, overall fine. 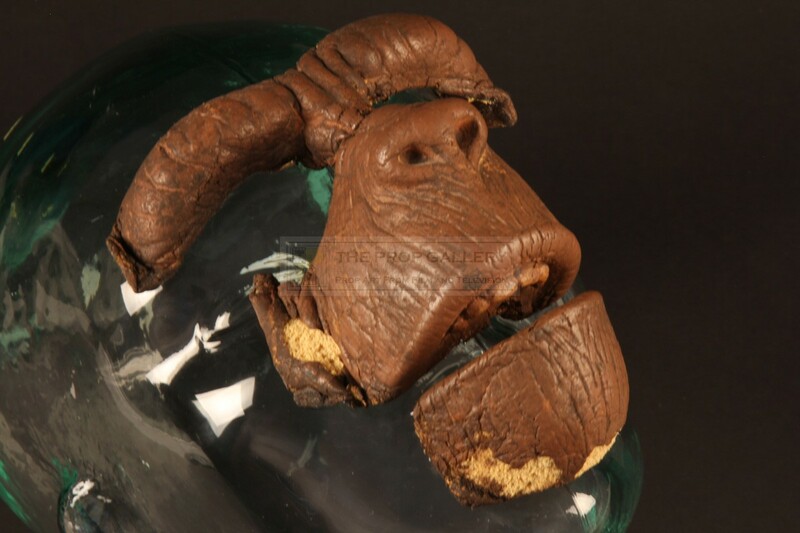 This represents an incredibly rare surviving example of an original screen used ape appliance, the vast majority of these having been discarded following removal after filming. An instantly recognisable and displayable artefact from this cult science fiction series.